Hands-On Demos for Just Cause 3 and Life is Strange, Panels with the Deus Ex: Mankind Divided Development Team and More. Square Enix® announced its lineup and events for New York Comic-Con 2015, being held at Javits Center Oct. 8-11. The company will be showcasing a mix of new releases and highly-anticipated games, including presentation demos for the upcoming Deus Ex: Mankind Divided® and HITMAN®, and hands-on opportunities for Just Cause® 3, the critically-acclaimed Life is Strange®, DRAGON QUEST HEROES®: The World Tree’s Woe and the Blight Below™, FINAL FANTASY EXPLORERS®, and the award-winning mobile puzzler Lara Croft® GO will also be available. Meet the development team for Deus Ex: Mankind Divided: Jean-Francois Dugas (Executive Game Director) and Jonathan Jacques-Belletête (Executive Art Director), as well as Elias Toufexis, the actor behind the voice of Adam Jensen. Get an exclusive look at the game, as the team provides insights into the creativity, goals and inspiration that shape the world of Deus Ex: Mankind Divided, set in the year 2029. They will also answer questions about the game and their experiences as game developers. Join Square Enix and key members of Avalanche Studios as they discuss the series' inspiration and distinctive style and talk about the upcoming action and destruction of Just Cause 3. With over 400 square miles of complete freedom from sky to seabed and a huge arsenal of weaponry, gadgets and vehicles, prepare to unleash chaos in the most creative and explosive ways you can imagine. Playable demos and presentations will be available in Booth #1604. Summary: Lara Croft GO expands the turn-based puzzle gameplay and takes you on an adventure set in a long-forgotten world. Explore the ruins of an ancient civilization, discover hidden secrets and face deadly challenges as you uncover the myth of the Queen of Venom. Attendees will witness a never-before-seen take on the iconic franchise featuring challenging gameplay, gorgeous visuals and a mesmerizing soundtrack, all at your fingertips. Summary: DRAGON QUEST®, one of the most iconic RPG series from Japan, will be transformed into a full-scale action RPG in the West. Players must rise up against insurmountable odds, challenge swarms of enemies and conquer gigantic monsters. It is filled with characters and monsters designed by world-renowned artist Akira Toriyama. Also, Yuji Horii, director and creator of DRAGON QUEST, and Koichi Sugiyama, the renowned composer closely tied to the series, are closely involved in bringing this title to life. The demo area allows fan to take on and challenge the all-mighty monster, Gigantes. Summary: FINAL FANTASY EXPLORERS focuses on cooperative play with friends and utilizes a refined party system allowing Explorers to master over 20 new and familiar jobs—including Knight, Monk, Black Mage and White Mage—to defeat the realm’s mightiest monsters and even recruit them for battle. Players will have the ability to call upon the powers of eidolons like Ifrit and Bahamut, as well as transform into other legendary characters from the FINAL FANTASY series via the Trance feature. 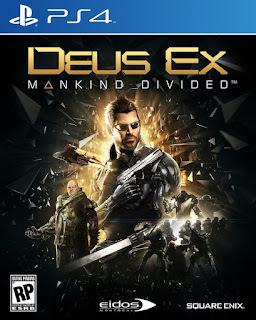 Deus Ex: Mankind Divided, the sequel to the critically acclaimed Deus Ex: Human Revolution®, builds on the franchise's trademark choice and consequence and action RPG-based gameplay, to create both a memorable and highly immersive experience. 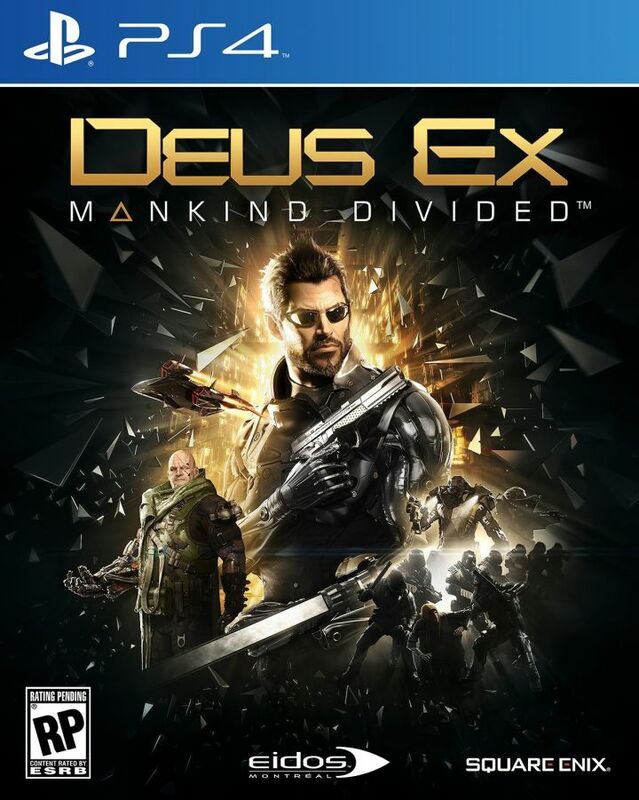 Players will once again take on the role of Adam Jensen, now an experienced covert agent, and will gain access to his new arsenal of customizable state-of-the-art weapons and augmentations. With time working against him, Adam must choose the right approach, along with whom to trust, in order to unravel a vast worldwide conspiracy. HITMAN will see players perform contract hits on powerful, high-profile targets in exotic locations around the world, from the highly fashionable Paris and sunny coast of Italy to the dust and hustle of the markets in Marrakesh in this creative stealth action game. Gameplay focuses on taking out targets in huge and intricate sandbox levels with complete freedom of approach. Where to go, when to strike and who to kill -- it is all up to you. And for the first time, HITMAN will lead with a digital release inviting players into a world of assassination. Additionally, limited quantities of the BATMAN™: ARKHAM KNIGHT PLAY ARTS® –KAI- ARKHAM KNIGHT limited color edition figure will be available for purchase at the Square Enix booth, and are also available for pre-order at the Square Enix Online Store (http://bit.ly/1PqVIJK).